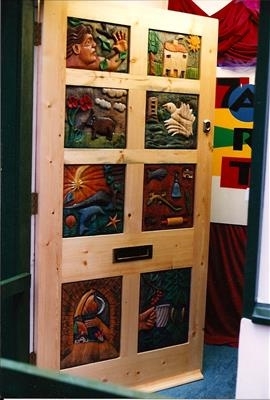 Another view of the door as it opens into the Artspace. After painting, the panels were sealed with white polish. After assembly the whole door was finished with exterior varnish.